Usually, when the catalytic converter runs into trouble, the Check Engine Light (CEL) will come on to alert you. The computer may store a trouble code (like P0420 through P0423) in memory. A trouble code doesn't necessarily mean the expensive converter needs to be replaced; you need to do some troubleshooting before you decide. The engine stalls when idling. A smell of rotten eggs wafts around the vehicle. You hear a rattling sound coming from underneath the vehicle. These symptoms show up when your converter loses efficiency, the internal substrate disintegrates, the housing becomes partially restricted, or the converter becomes plugged up. It's possible that during normal operation, the converter can succumb to age and lose the ability to catalyze emissions. But this is rare. Most catalytic converters outlast the engine. If the converter is damaged, it's more commonly caused by engine performance problems (misfires, rich air-fuel mixture) or other serious issues that allow contamination (coolant and engine oil) to reach the exhaust system. 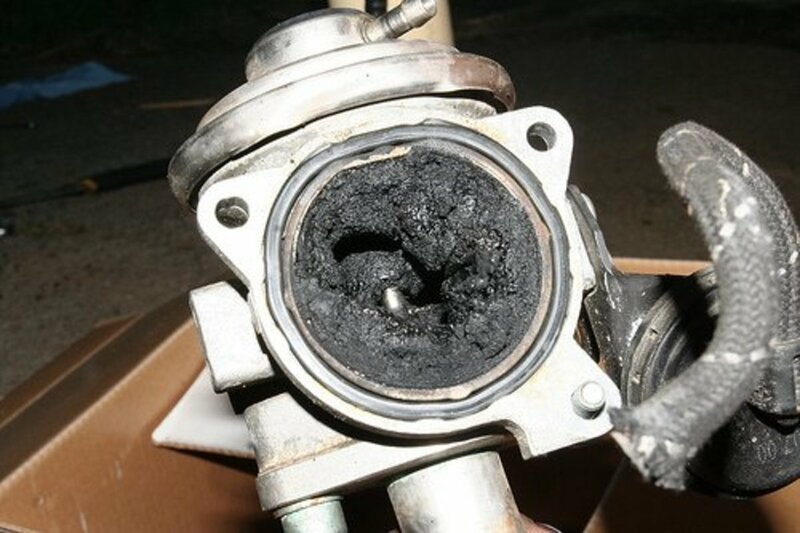 A bad catalytic converter can be difficult to diagnose. But the investigation can be well worth it. Before you send your car to the shop or decide to replace a potentially good converter, the following series of tests will help you troubleshoot the unit using some special but inexpensive tools. The catalytic converter is located between the exhaust manifold and the muffler. The converter looks like a small muffler with a pipe connected at each end. Depending on your vehicle, you may have one or two converters. Also, many Chrysler and Mitsubishi models use a mini-converter between the exhaust manifold and the main catalytic converter. The smaller converter heats up fast, so it begins reducing emissions as soon as a cold engine is started. 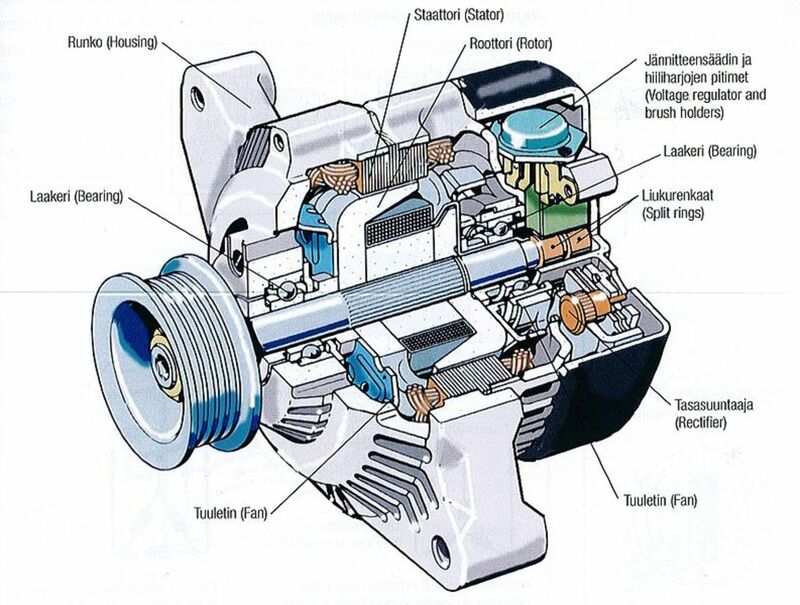 To locate the converter, if necessary, check the Haynes vehicle repair manual for your particular make and model. To determine whether your catalytic converter is clogged or has lost efficiency, apply the following four tests. For some tests, you'll need a special tool, which you can find at most auto-parts stores or online. Apply two or more of these tests to confirm your findings. An exhaust-system restriction will cause a loss of engine power, but so can many other problems. If you suspect a plugged-up converter, you need to test the system. This test requires a vacuum gauge; if you don't have one, consider buying one. 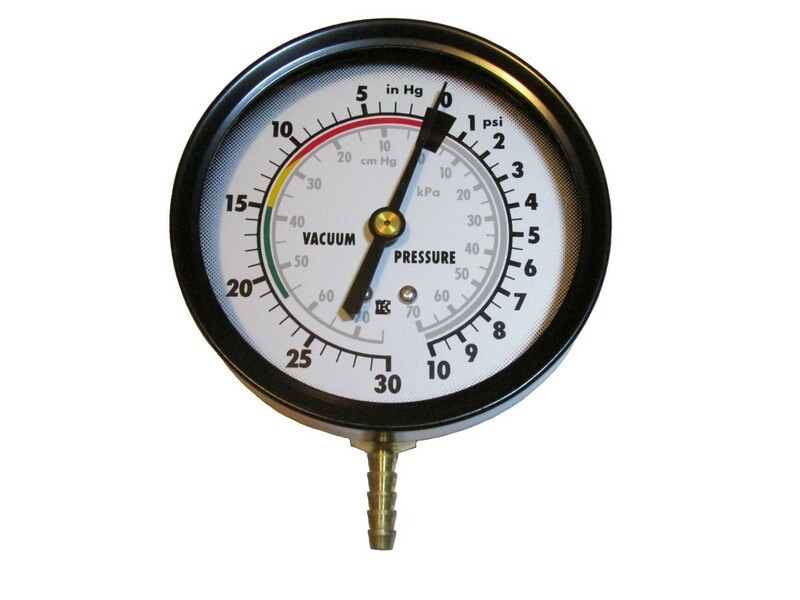 A vacuum gauge is a useful diagnostic tool that will come in handy in other repair projects. Set the transmission to park (automatic) or neutral (manual), and apply the parking brake. Disconnect the vacuum hose at the brake power booster and connect the vacuum gauge to the hose or to another direct intake manifold port. Start the engine and let it idle for about 15 to 20 minutes so that it reaches operating temperature. At idle, vacuum reading should be between 18 and 22 in-Hg (inches of Mercury). Increase and hold ending speed to about 3000rpm. Vacuum reading should drop but should go back to the previous level in a few seconds; otherwise, it's likely the exhaust system is blocked. Continue to the next step. Repeat the test, but this time, snap the throttle valve open about four times, rising engine speed to about 2500rpm. Take note of the vacuum reading with each snap of the throttle. If you see that gauge needle dropping steadily to near zero, most likely the catalytic converter or muffler is restricted. To confirm a possible restriction, loosen the back pipe from the catalytic converter just enough to allow gas to flow through. Repeat step 6. If vacuum doesn't drop considerably this time, you've found the blockage (back pipe or muffler). Otherwise, go to the next step. Loosen the header exhaust pipe from the converter just enough to allow exhaust gas to flow through. Repeat step 6 and take note of your vacuum readings. If your vacuum readings show normal vacuum, the converter is restricted or plugged up. Loosen the catalytic converter from the header pipe or exhaust manifold. This allows gases to flow through. If you notice an improvement in engine performance, you are on the right track. If necessary, you can follow the same procedure to test for a possible restricted muffler. However, double-check your findings using one or more of the methods outlined before deciding that you actually need to replace a restricted converter or muffler. Just like the vacuum test above, a back pressure test can help you diagnose a clogged exhaust system, but this test is done directly at the exhaust system to detect a plugged catalytic converter or muffler or pipe. This simple test requires a back pressure gauge. You may find the gauge at your local auto parts store or online. Start the engine and let it idle for about 20 minutes--or head over to the highway for a 20-minute ride and then go back to your garage. Locate and remove the front (pre-catalytic) oxygen sensor. You may need to raise your car with a floor jack and safely support it with a couple of jack stands, then block the rear wheels with a couple of wooden blocks. Then, install the pressure gauge in place of the oxygen sensor. With the gauge in place, start the engine and take note of the gauge pressure reading. Normal backpressure should be close to zero: 3 psi at most. When increasing engine speed to about 2500 rpm, you should get a pressure reading between 1 and 3 psi. Your mileage may vary, depending on your particular model. However, a reading of around 8 psi or higher means you are dealing with a clogged converter, exhaust pipe, or muffler. If you need to test the back pipe or muffler, replace the oxygen sensor and remove the catalyst monitor (rear oxygen sensor) and install the back pressure gauge in its place. Take a pressure reading at idle and at higher engine speeds. If back pressure is normal this time, you have a clogged catalytic converter; if back pressure is still high, you have a clogged muffler or back pipe. Oxygen sensors tend to seize to the exhaust pipes or manifold due to the high temperature at which they have to operate. This makes them difficult to remove because forcing the sensor loose can damage the boss threads. 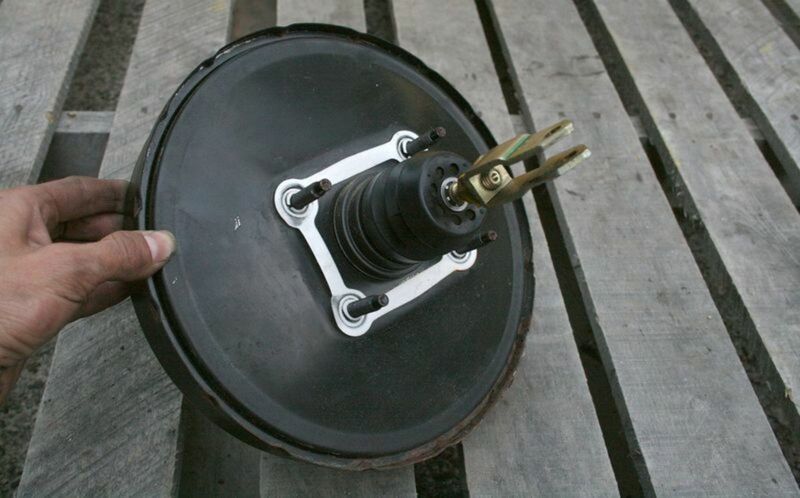 A few hours before you plan to remove the sensor, apply a quality penetrating oil to the base of the sensor. If time allows, apply the oil again a couple more times, an hour or two apart. When you're ready to remove the sensor, park your car on a flat surface, lift the front of your vehicle, and safely support it with jack stands, if you need to, to access or reach the sensor. Block the rear wheels and set the parking brake. Start the engine and let it idle for about 10 minutes to raise the exhaust temperature. This will help to loosen the sensor. Be careful when starting to work on the sensor itself: the exhaust pipes and manifold will be at a high temperature at this point and you can seriously burn your skin. Disconnect the negative (black) battery cable from the battery. 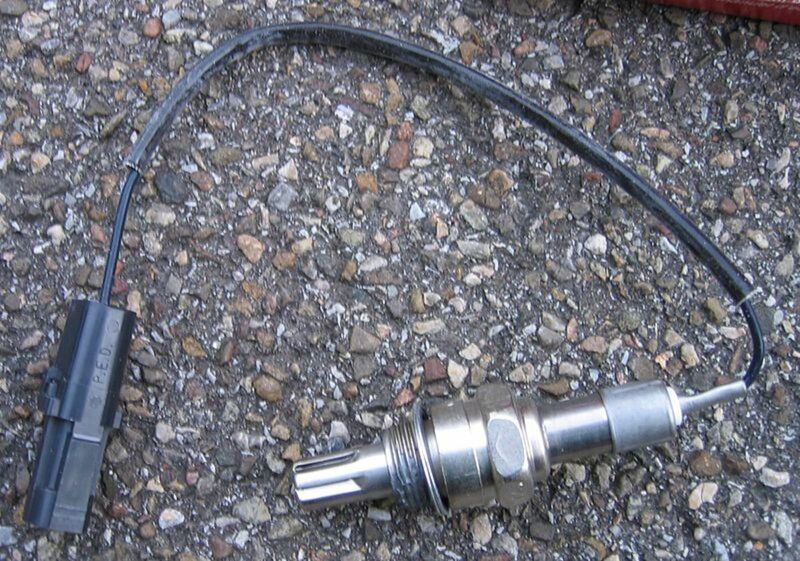 Unplug the sensor electrical connector, and loosen and remove the sensor using an oxygen sensor socket. If you don't have the socket, use a six-point wrench that can safely grab the sensor. If the sensor still feels stuck, just turn the sensor counterclockwise a few degrees until you can't turn it anymore, then apply penetrating oil and re-tighten the sensor. Repeat the previous step until the sensor becomes loose. 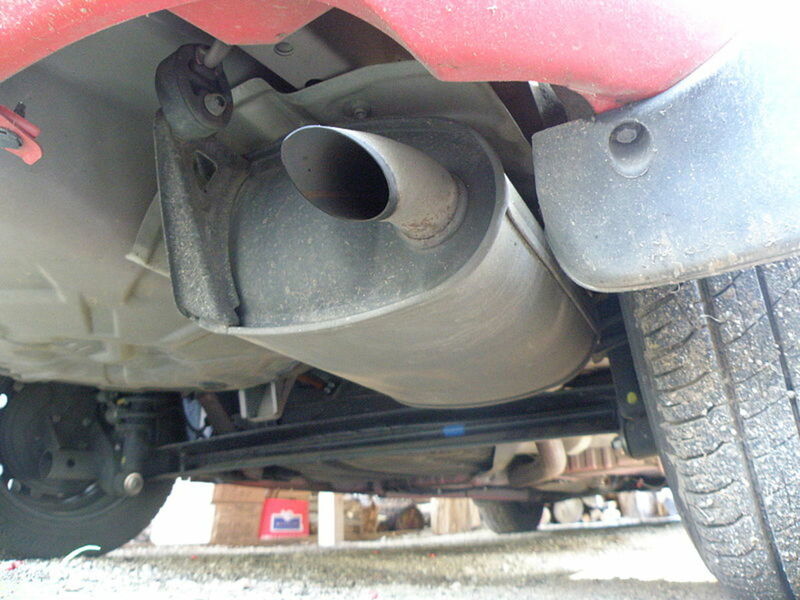 When catalytic converter efficiency degrades to the point that it stops catalyzing exhaust gases properly, the catalyst monitor (rear oxygen sensor) will report it to the computer. 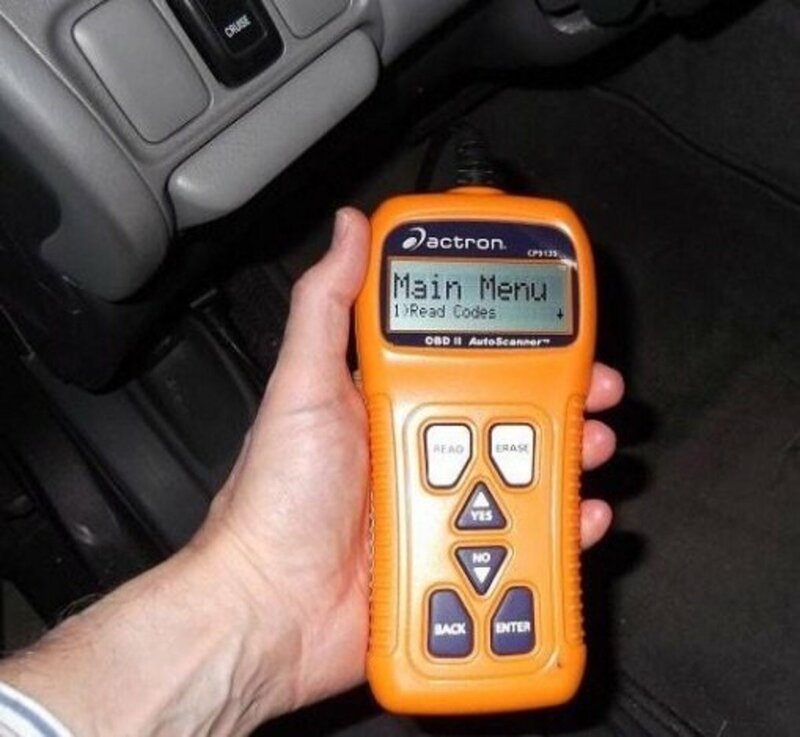 Following a pre-configured procedure, the computer will then turn on the check engine light (CEL) or malfunction indicator light (MIL) and store a trouble code, usually P0420 through P0424. 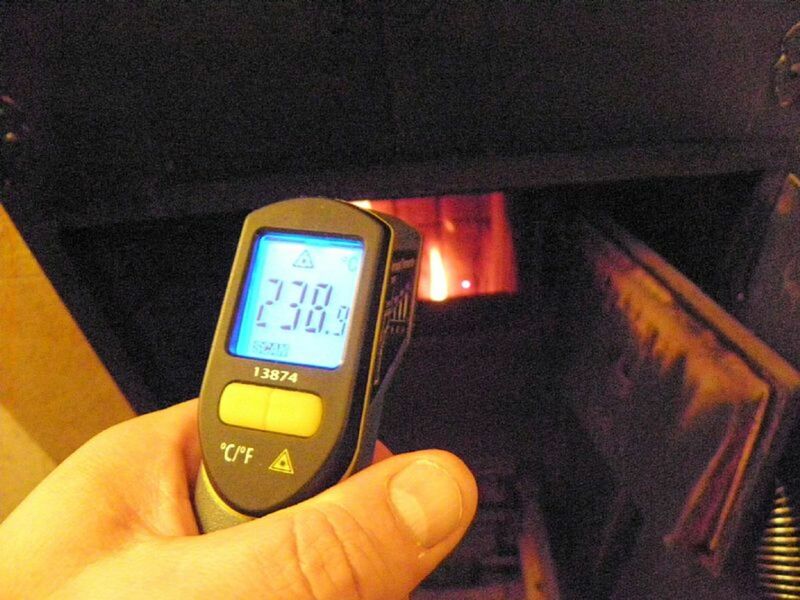 Still, you can test your catalytic converter efficiency using a suitable kitchen thermometer, or better yet, an infrared thermometer like this one (recommended). Start the engine and let it idle for about 20 minutes to bring it up to operating temperature. Or take your car to the highway and then come back home. 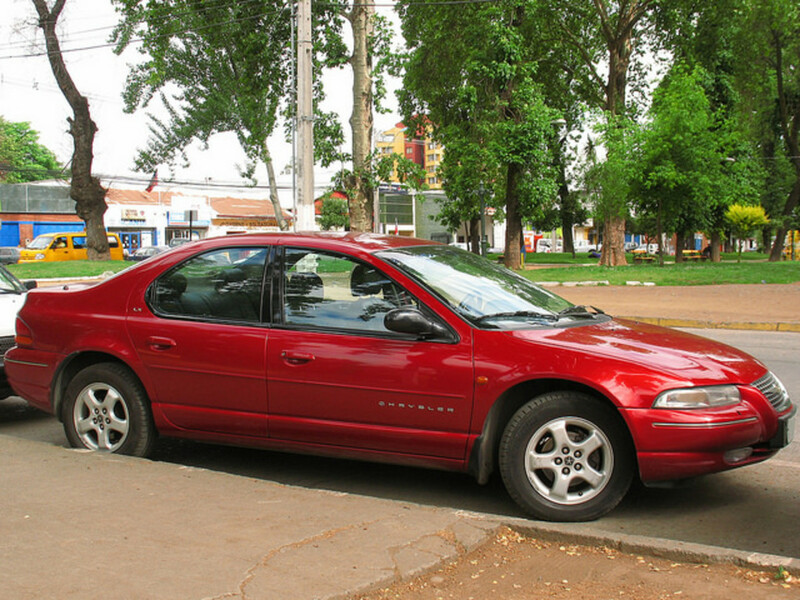 Park your car on a flat surface, set your transmission to Park (automatic) or Neutral (manual). If you don't have easy access to the front or rear of the catalytic converter, raise your vehicle using a floor jack and safely support it on jack stands. Take a temperature reading of the inlet pipe that connects to the front of the catalytic converter, and take note of the reading. Then, take a temperature reading of the outlet pipe that connects to the rear of the catalytic converter and take note of the reading. If the catalyst has stopped working, the front temperature will be about the same as or higher than the rear temperature. In a good catalytic converter, the rear of the converter will be 20+ degrees hotter than the front. The check engine light (CEL) or malfunction indicator light (MIL) is your best friend when dealing with emission problems. Whenever this light comes on, check for trouble codes. And if the light is flashing, the light is warning you of a malfunction that will seriously damage your converter if not fixed. Don't ignore the light. Pellet catalytic converters use little ceramic beads coated with catalyst. The pellets can disintegrate because of overheating and plug the unit. Other vehicles use a "monolithic" converter," a ceramic honeycomb coated with catalyst. This substrate is firmly held inside the converter. But if the converter takes a direct hit from a hard object on the road or during an accident, the substrate can crack or break into pieces. Also, operating under overheating conditions for a prolonged time can break the internal structure. 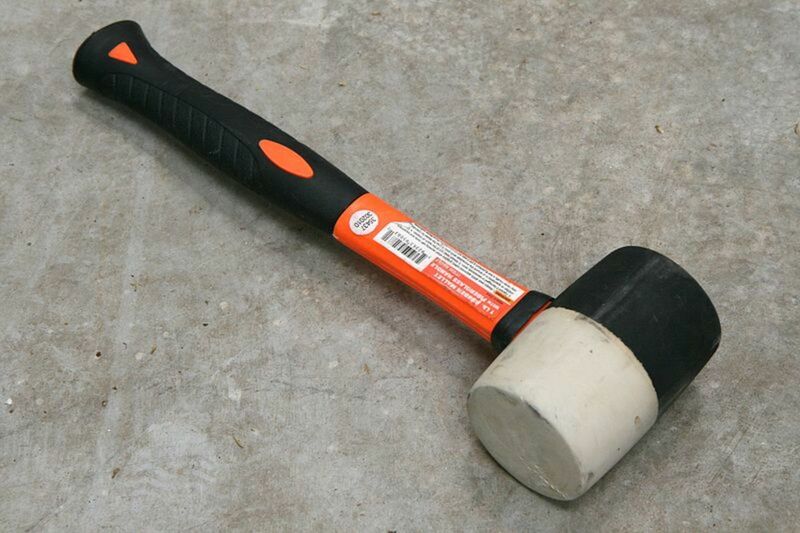 To test the physical condition of a monolithic type converter, you can use a rubber mallet, or a regular hammer wrapped in a piece of cloth. Raise the front of the vehicle (if necessary to access the converter) and support it with jack stands. Tap the converter with the rubber mallet. If it rattles, the internal substrate has collapsed and you need to replace the converter. A catalytic converter is a reliable and efficient vehicle emission system device and can outlast your car's engine. However, engine system problems, lack of proper engine maintenance, and driving mostly short trips can take a toll on a converter's service life. Contamination—oil, coolant, or unburned fuel leaking from the cylinders—can also destroy a catalytic converter. Fix any system problem that causes the engine to routinely operate using a "rich" air-fuel mixture. Unburned fuel will cause the catalytic converter to overheat and, eventually, to destroy itself. Replace old or fouled spark plugs that can prevent proper combustion of the air-fuel mixture. 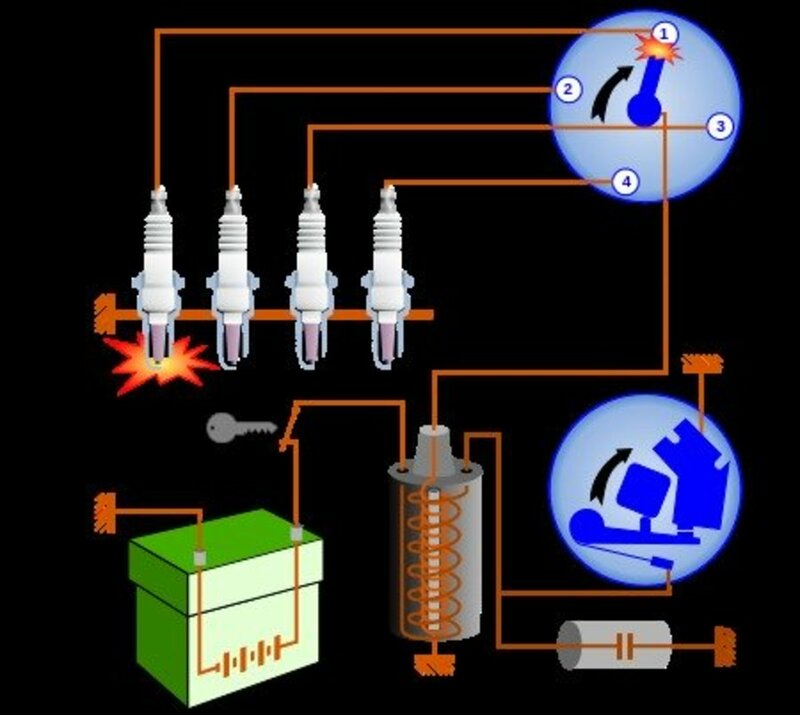 Fix ignition system problems caused by poor maintenance or component failure. Use fuel and oil treatments to fight carbon buildup inside cylinders and around valves. 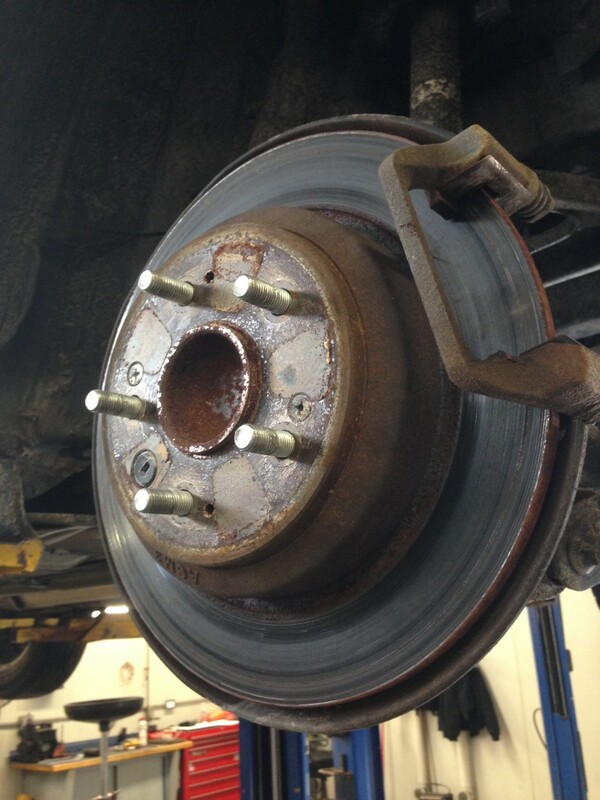 Such buildup can lead to engine oil leaks into the combustion chamber or bad compression. Fix cylinder gasket problems that allow oil or coolant to leak into the combustion chambers. See the next section for clues to leaks into the combustion chambers. Avoid driving only short trips (under 20 minutes) that prevent the catalytic converter from reaching operating temperature and burning off buildup. If necessary, take your car for a spin on the highway once a week to help the converter (and engine oil) burn buildup, contamination and other impurities. Avoid driving with a cylinder misfire condition. Misfires allow unburned fuel to pass to the catalytic converter. Don't run the engine below operating temperature. This also will keep the converter from doing its job. One reason an engine will run below operating temperature is a stuck-open thermostat. 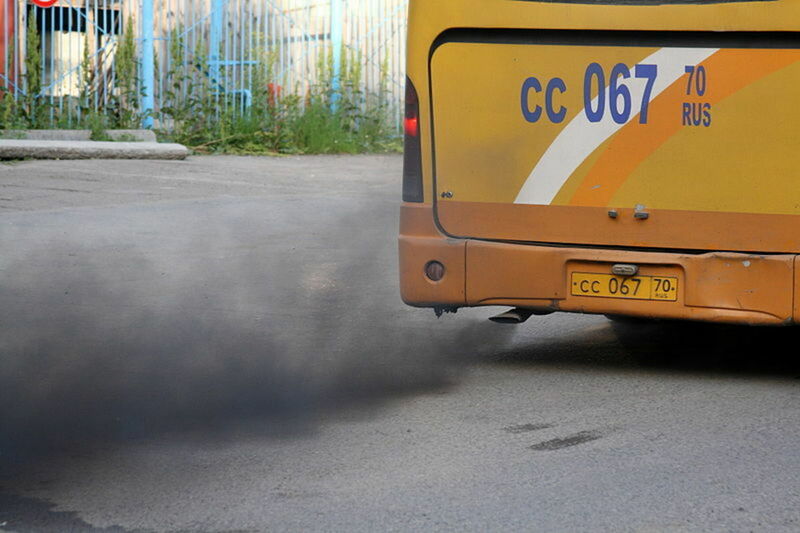 When the engine is burning oil, you'll see blue-gray smoke. A rich condition will produce black smoke. A coolant leak into the combustion chamber will cause thick white smoke (but don't confuse this with normal condensation). Although a converter can succumb to age, most commonly its failure can be blamed on unburned fuel, contamination (oil or coolant), or overheating. Failing to address any of these problems on time will make the catalyst burn itself into uselessness or become plugged. So make necessary repairs pronto. And, to help extend your catalytic converter service life, follow the maintenance schedule as described in your vehicle repair manual. What if my car didn't smell like rotten eggs, but is otherwise as described in this article, is it still the catalytic converter that went bad or would it be the muffler? If the engine doesn't have much power, try loosening the header pipe, before the cat. Then, tighten the pipe and loosen after the cat. See if there's a difference in engine performance. My malfunction indicator light was on, but when the shop did a diagnostic, they said I needed my catalytic converter changed. Should I replace it? 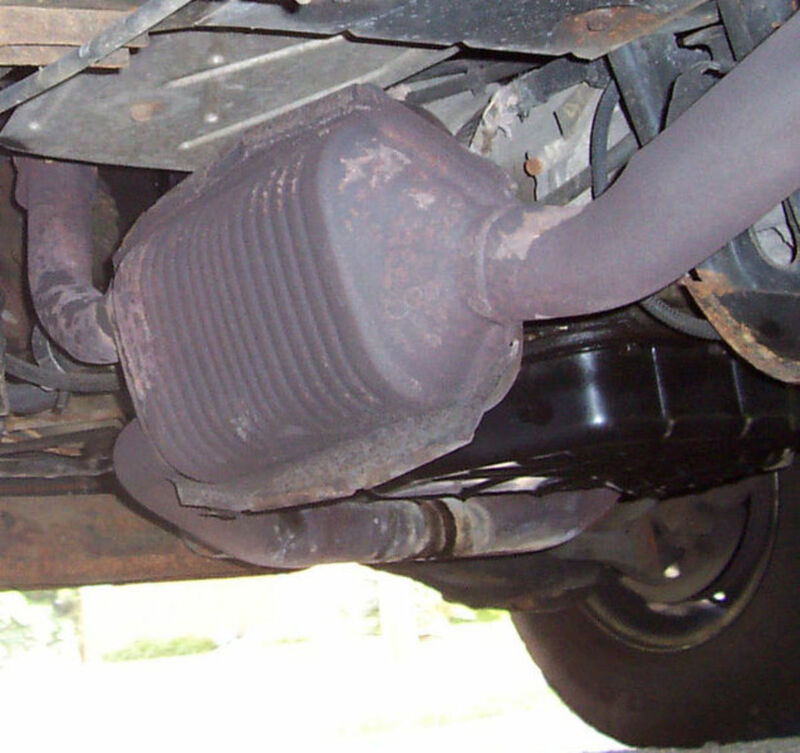 Did you experience any of symptoms of a bad catalytic converter? Did they give you the reasons why you need to change it? Was the check engine light flashing? What was the trouble code stored in the computer's memory? You may want to test the cat yourself by applying one or two of the procedures described in the post, or get a second opinion from a reputable shop first. Temperature test, you say 20 degree difference. Farenheit or Celcius?